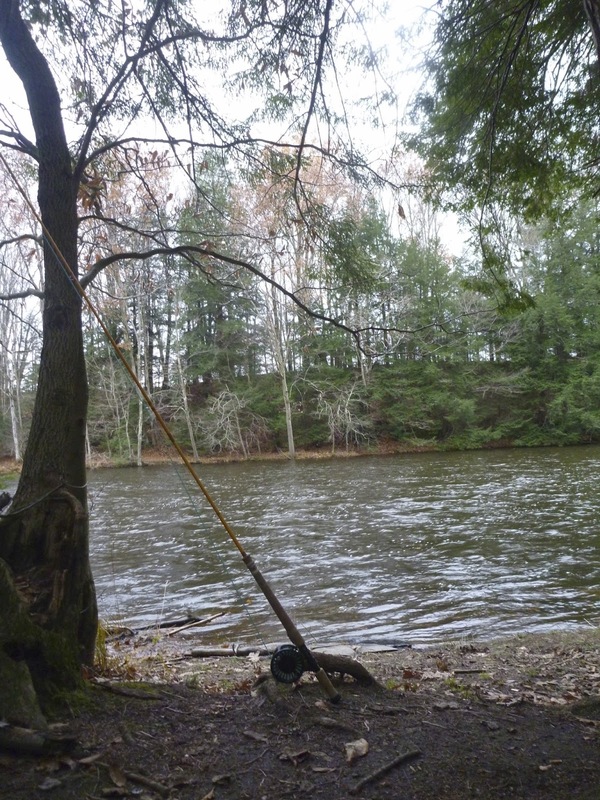 In 2008, I made my first fly fishing trip to the Great Lakes tributaries to target steelhead. 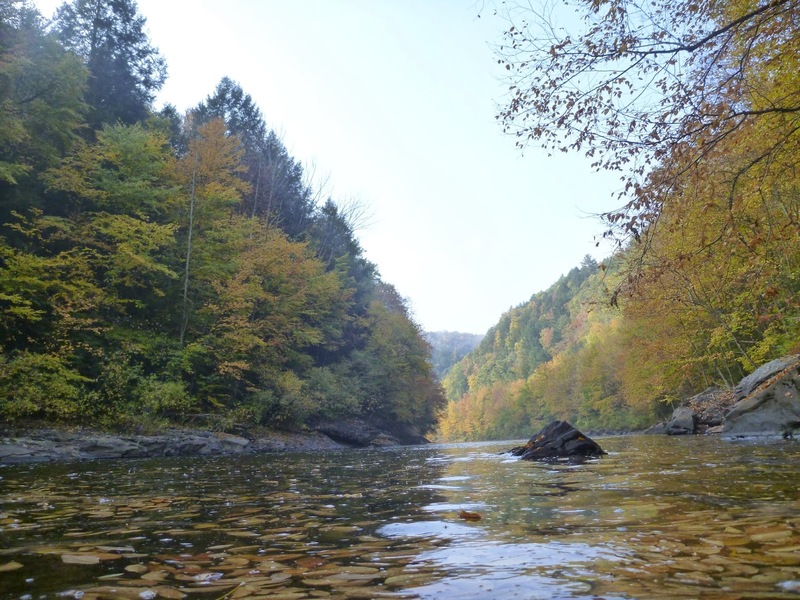 I began with 7 hour trips to Erie and later branched out to the equally far Western Ontario tributaries near Oak Orchard. When I finally fished the larger water of the Salmon River, I knew that it offered a lot and was close enough for multiple trips. As the years progressed, the number of excursions began to increase into the high single digits. My fishing techniques began to vary as I branched out with switch rods and later spey rods. In the past two years, I haven't fished any other water besides the Salmon, and almost exclusively swing flies or go home. Fueling my inspiration and sleep deprived ventures, was the thought of catching the "one," a large steelhead of my dreams, which can be hard to come by in the non-native hatchery stocks of the Great Lakes. Taking a look back, my last days of summer were well spent. I fished a lot of new water and got to try some new techniques in the process. I had an absolute blast. As summer came to a close salmon and steelhead took my focus away from carp. Carp are #1 in my eyes but swinging flies #2. 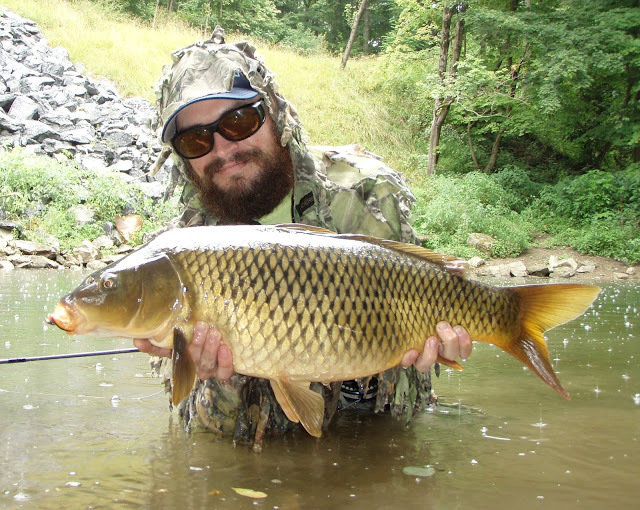 I’m ashamed to say that in the past two months I fished for carp only once. When winter hits and the temperatures plummet I’ll be back in search of carp. Ice in the guides from constant casting will be too much for me to handle, so swinging flies will be out. Winter carping is more my style anyway, casting once or twice a day if I’m lucky and the rest of the time spent clutching hand-warmers. It's mid-October in Delaware and the temperatures are still approaching the eighties on a daily basis. For the most part, the leaves are still green. As I entered my truck for the drive home, everything felt like summer and there wasn't a hint of Fall in the air. Two hours north, in the heart of Pennsylvania, the Fall season is nearing its peak. Leaves are yellow, orange, red, and every shade in between. When I exited my vehicle in Pennsylvania, my senses immediately registered everything there is to love about Fall, my favorite being the smell. Try as I might, it is hard to put into words how much I love the smell of dead leaves rustling through the wind. It ranks a close second to the smell of an old growth forest after a brief thunderstorm. There is also a slight chill in the air, something that is noticeably absent in Delaware. Fall is definitely here and the signs are everywhere.